My friends mock me for taking so many photos, and truth be told most of them get deleted by the end of the day. This morning the idea that I might need an intervention hit home when a Djiboutian man pushing a wheelbarrow saw me taking photos in the street and greeted me with a hello in Chinese. M’s main mission for today was to buy a simm card for his phone so we’d have a local number. After coffee, croissant and bread (yes, we got up before they ran out), we headed to Djibouti Telecomm. The day started out at 79 degrees and 50% humidity. It honestly gave me a bit of a chill. Quickly, the humidity built. The sun came out and we began to bake and sweat. M went into the telephone office and I opted to wait outside and watch people. I noticed that I can now distinguish some basic words in Somali, which with my abysmal ear for languages is impressive. At which point he departed. Abruptly, scratching his head. We walked town a bit and stopped for coffee and juice at Bunna House. 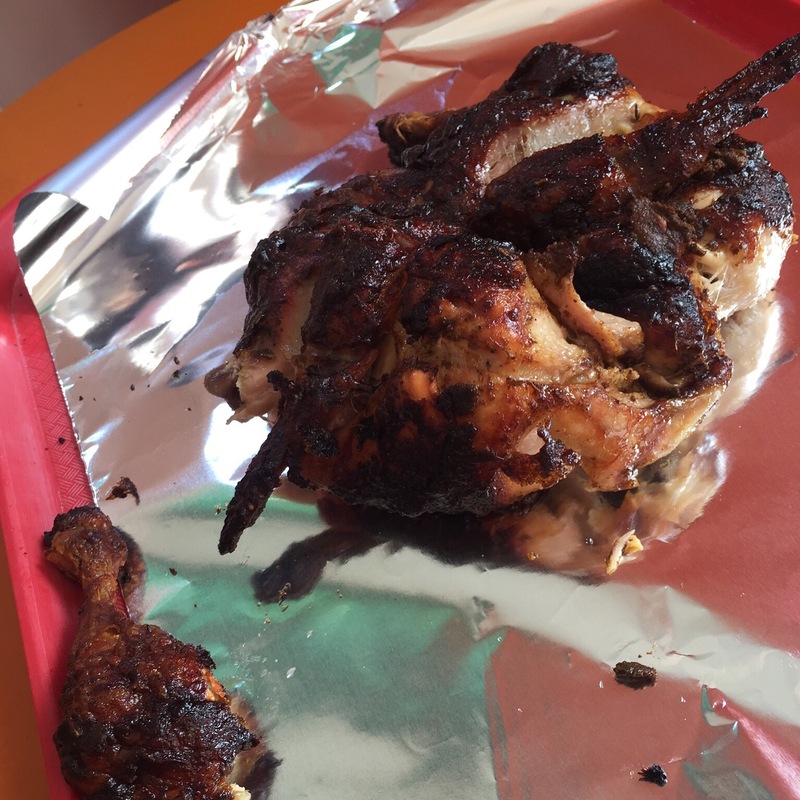 We freshened up at the hotel and went to the rotisserie stand in front of City Burger to buy a herbed, spiced roasted chicken. We ripped that chicken apart with our hands, using tissues as our napkins, picking through skin, bones and the paste remaining of chicken guts. It was amazing. We then went for a walk, knowing full well we were approaching the 1 pm shutdown of town. Let me say that if we attracted attention in the market at other times of day, today we learned that at 1 pm, we’re the only people out there and the locals descend upon us like vultures. We took brief naps and then made our daily visit to Nougaprix where today we bought two “coconut brownies.” Very dry but tasty. The two of them cost, together, about 75 cents.